Considering tutoring for your homeschool student? Many parents have taken the initiative to homeschool their children, either through an online agency or through a combination of online services and teacher-led activities. With changes to the Education Act in British Columbia, there are new opportunities for parents and students to think of education differently. For example, students can do a combination of traditional schooling and homeschooling. But even with this new wave of educational opportunity, students and parents still need help sometimes. Sometimes it’s that parents don’t have the necessary time to help their children. Sometimes it’s because parents, though meaning well, simply don’t have the training or resources available to them. This is especially true as children grow and their needs change, or subjects become more difficult. 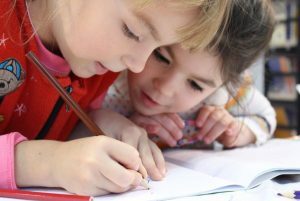 For these reasons, many parents turn to homeschool tutors who can help ease the workload for parents, provide trained expertise in specific subjects, and expose students to other styles of teaching. Parents and students have countless reasons for pursuing homeschooling, or a combination thereof. One key reason we’ve heard at Tutoring…With A Twist is that parents want their children to have success in life, not just in a school setting. This where Tutoring…With A Twist excels above all other tutoring options: our proven system guarantees success beyond the classroom. If your homeschool student needs help in any subject area, we’d love to help! Our tutors range in personality and life experience, so you can rest assured we have a tutor who will mesh with your education style and family. Nobody knows everything! As grade levels increase and subject matter diversifies, every homeschooling parent eventually runs into material they aren’t familiar with. Our talented tutors can help you fill in any subject matter gaps, assist with difficult lessons, and ensure your students do their best in every area of study. Our tutors recognize that self-confidence is one of the most critical components to happy, healthy learning. Students who believe in their own abilities are more likely to succeed! When we work with students, we go beyond the classroom material and help build up confidence, setting the groundwork to help your child to tackle challenges of all shapes and sizes. A person’s mental and emotional state has a profound impact on their ability to learn. That’s why we look at the overall wellness of every student we work with and help them bring the right attitude and perspective into their studies. If students are struggling, we work with them to figure out why and then develop new tactics and coping mechanisms to overcome the invisible barriers in their way. Tutoring helps students develop a work ethic and can improve study skills! We help students make the connection between the work they put in and the results they get out. Twisted Students recognize that subjects are easier (and sometimes even fun!) when they take the time to invest in their results. Homeschooling families know that there’s more to life than formal education and that success beyond the classroom requires a range of skills that aren’t taught in a traditional classroom setting. Our tutors work with Twisted Students to develop critical life skills that will help them excel academically and in life itself.